Calderdale Council is teaming up with GRAHAM Construction to host a series of free public talks focused on the Piece Hall transformation project and new Central Library and Archive. A number of speakers with expertise ranging from osteoarchaeology to stonemasonry and major events planning will provide fascinating insights into the historical content and future of the Piece Hall and new library. The four talks will take place during February, March, April and May as evening events (5.30pm – 7.30pm) at Halifax Central Library and the Council Chamber at Halifax Town Hall. Attendance is free but places must be booked in advance using Eventbrite. The regeneration of the Piece Hall, a Grade I listed building, is well underway and will re-open this summer as a major attraction for Yorkshire. GRAHAM Construction was selected as the main contractor due to its strong track record with the renovation and conservation of heritage and listed buildings. The Piece Hall transformation project is funded by Calderdale Council with a generous £7 million grant from the Heritage Lottery Fund making this heritage regeneration achievable. The Council is also very grateful to the Garfield Weston Foundation and the Wolfson Foundation who are supporting the scheme. Tuesday 23 February 2016 – The Archaeological Dig and the Osteoarchaeological Investigations for the Piece Hall Transformation – featuring David Williams, West Yorkshire Archaeological Services(ASWYAS); Malin Holst, York Osteoarchaeology Ltd / University of York and Katie Keefe, York Osteoarchaeology Ltd.
Wednesday 23 March 2016 – The Design of the Piece Hall Transformation and the New Library and Archive – featuring Emma Rose Berry and Dermot Patterson of LDN Architects. Wednesday 20 April 2016 – Halifax Piece Hall and environs: an historical perspective, and an exploration of the stonemasonry restoration – featuring Dr John A Hargreaves, historian and author and Tony Ewings, expert stonemason from Stone Edge Ltd.
Thursday 19 May 2016 – The Piece Hall – Looking to the Future – featuring Sam Mason, Chief Executive of the Piece Hall Trust and members of his team. These Meet the Experts events will provide members of the public with expert insight, historical context and future developments for this landmark heritage project. Places must be booked in advance through Eventbrite (www.eventbrite.co.uk(external link)) – go to Piece Hall events(external link). 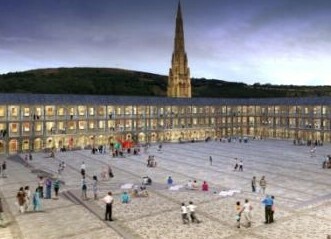 To find out more about the Piece Hall transformation project visit www.thepiecehall.co.uk(external link) or follow @ThePieceHall on Twitter or The Piece Hall Halifax on Facebook. This entry was posted in Libraries, Piece Hall. Bookmark the permalink.